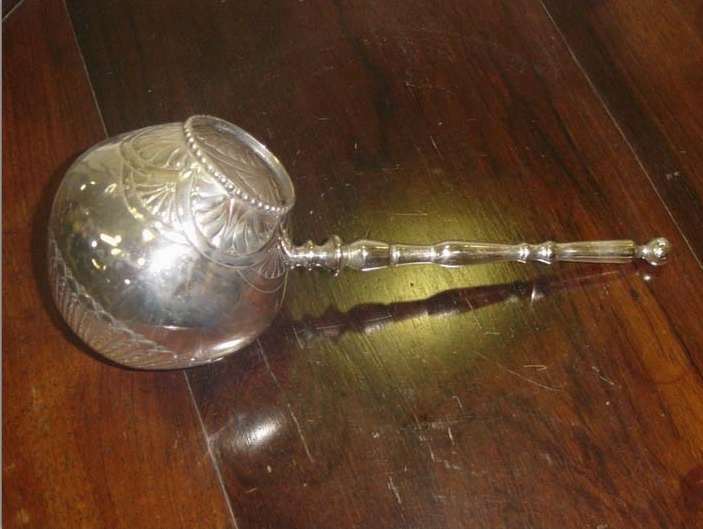 Since the beginning of colonization, silver has occupied an important place in Brazilian society, being the preferred metal for the decoration of homes and churches, but until the early seventeenth century there is no record of the existence of silverware made in Brazil. 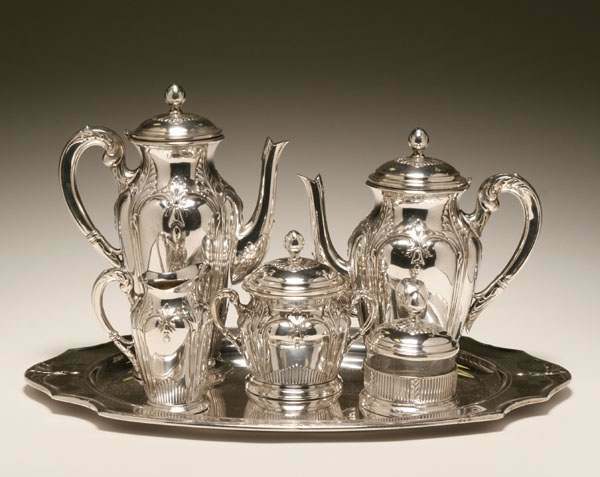 The settlers were engaged only in exporting sugar, hardwoods, and spices to Portugal. 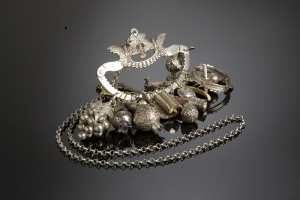 However, in general, as Brazil had no production of silver, the metal came from the rich mines of the Viceroyalty of Peru (which included Bolivia) in the form of coins called "Macuquinas"
Macuquinas were coined in Spanish America (mainly in Mexico and Peru) and are the oldest silver coins of the continent. 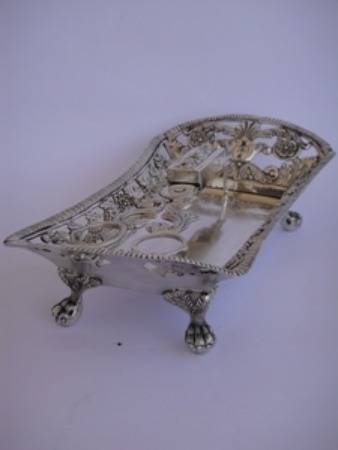 In the period that Portugal and Spain had the same government (1580 to 1640) bar of silver arrived in Brazil across the Rio de la Plata. 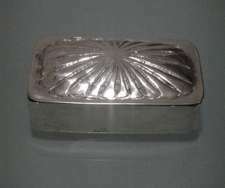 After their separation, the "official" trade was stopped and silver began to be introduced in Brazil through the state of Mato Grosso in the form of divisional currency. These coins were melted and the raw material obtained was used in the manufacture of silver objects. 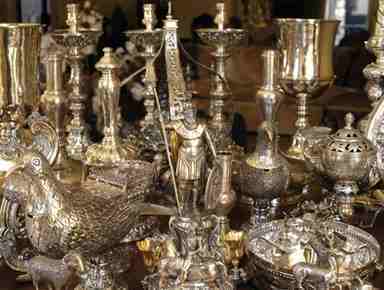 As a consequence of this practice, the amount of currency in circulation became so reduced that in 1693 the judge of the people in Bahia, Francisco Ribeiro Velho, sent a request to the Prosecutor of the Senate Chamber, arguing that silversmiths "ruin the business in the Bahia". 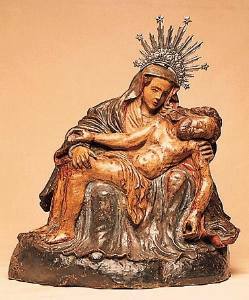 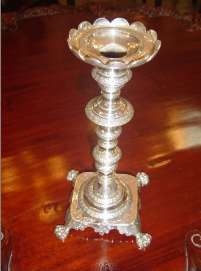 A further obstacle to the development of the art of silversmithing in the country was the law that authorized only gold/silversmiths of pure blood and devotees of Holy Mother Church to execute liturgical objects, excluding from the production any persons of mixed blood; Jews, Africans and Asians. 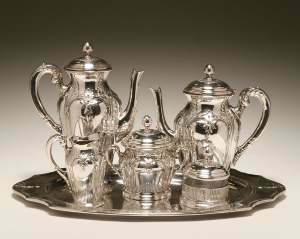 Only in the eighteenth century, when the request for silver liturgical objects increased greatly, did the gold/silversmiths of impure blood, but with proven ability, receive special permission to work the silver. 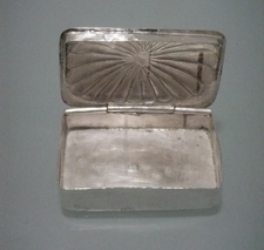 Meanwhile, silver artifacts were punched with the maker's mark of registered silversmiths and, during the time of the decree banning the work in precious metals, some pieces remained unmarked with the addition of other illegal silver, made in the prohibition era, from 1766 to 1815. 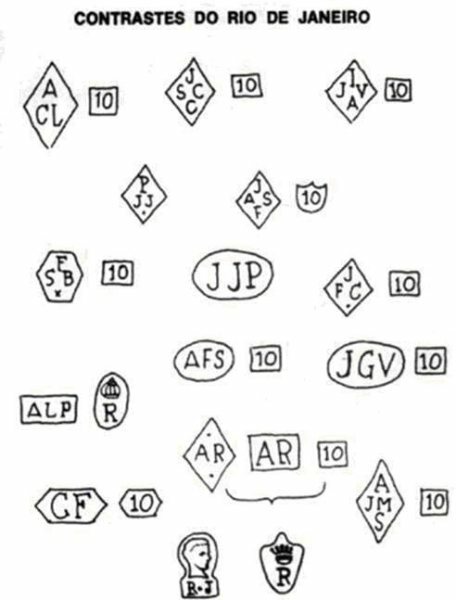 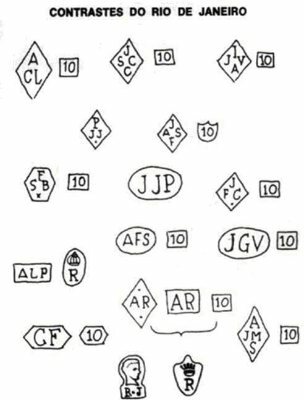 A long series of goldsmiths' names are listed in the Bahia guild's archives and books. 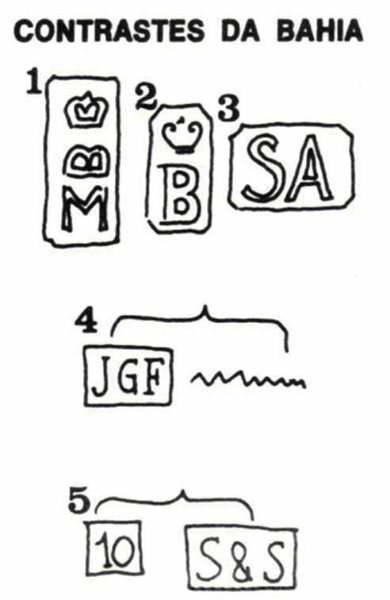 Some may be highlighted for their work: Joaquim Alberto da Conceição Matos, Domingos de Sousa Marques, Boaventura de Andrade, Manuel Eustáquio de Figueredo and many more. 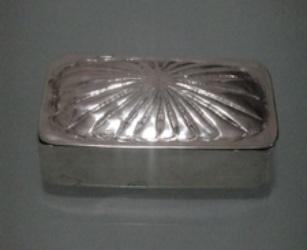 It is documented that in 1683, 23 silversmiths were active in Salvador. 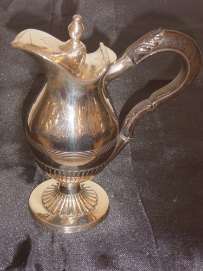 Less than one century later, in 1766, the workshops with several workers numbered more than 158. 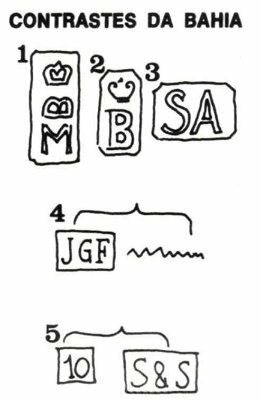 The standard for silver marking follows the same regulation as Portugal in the 15th and 16th century, but in Colonial Brazil only a small amount of production was marked to avoid authorities' controls. Silver manufactured in Bahia was marked with the "B crowned", that of the Senate of Bahia with the "S" and that of Rio de Janeiro with the "R crowned". 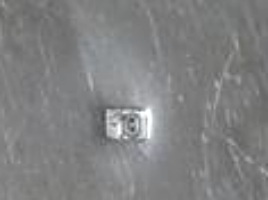 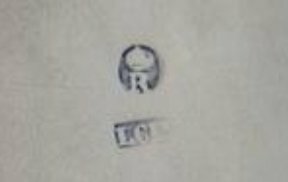 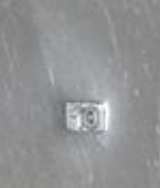 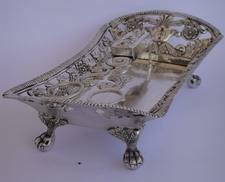 Also pieces can be found marked with "10" or bearing only the silversmith's initials (especially in the 19th century). In the 18th century, the independence of Brazil resulted in a great development of jewellery manufacture in Rio de Janeiro. 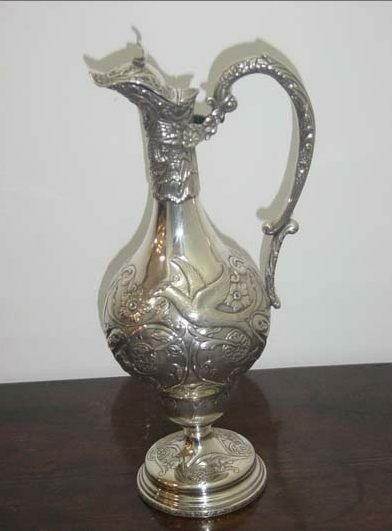 During the reign of Emperor Dom Pedro II (1831–1889) silver objects began to manifest some European influence. 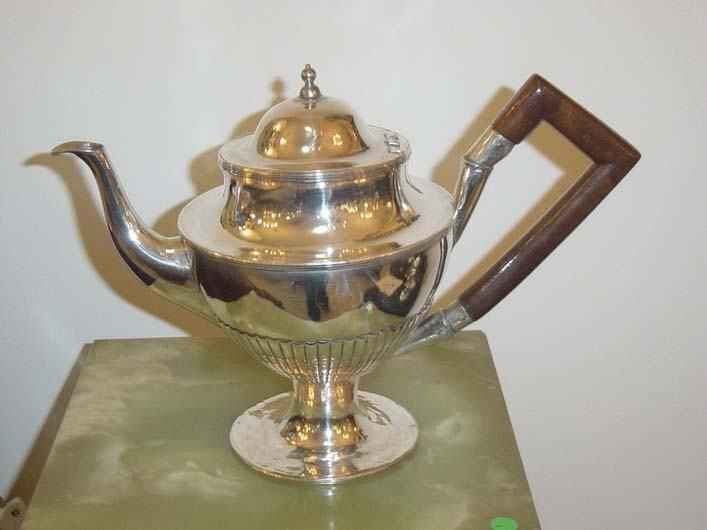 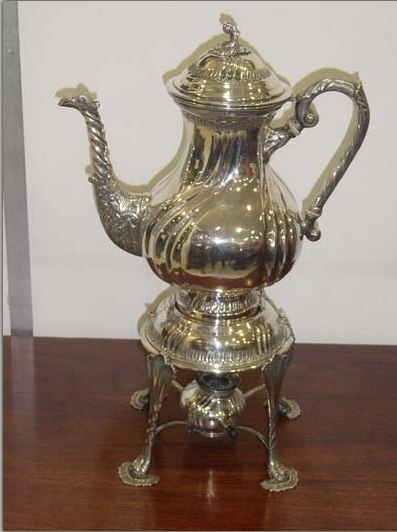 The most common silver artifacts made in Brazil are candlesticks, trays, vases, teapots, daggers, flatware, tea and coffee services, salt cellars, dresser sets, inkwells, stirrups, crowns of saints, monstrance, incensories, crosses of procession and goblets .... with a prevalence of religious silver over that of secular use. What survives of the beautiful Colonial production can be admired in the churches, museums and private collections. 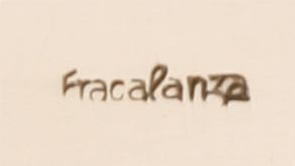 In 1884, Angelo Fracalanza began his industrial enterprise in Sao Paulo starting with the manufacture of silver plate items. 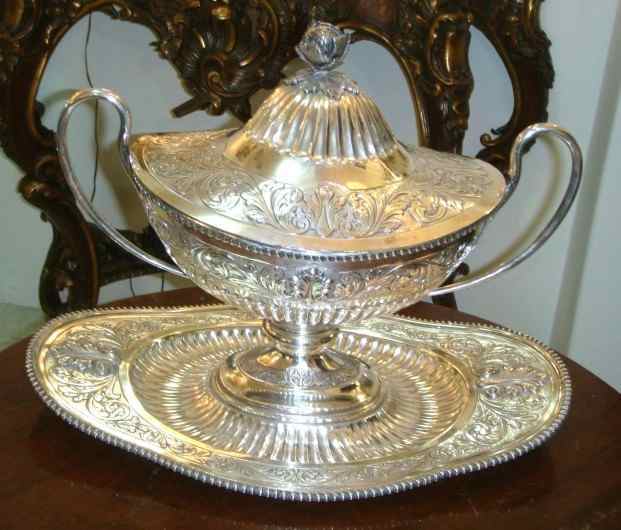 Another company involved in silver plate production was Eberle. 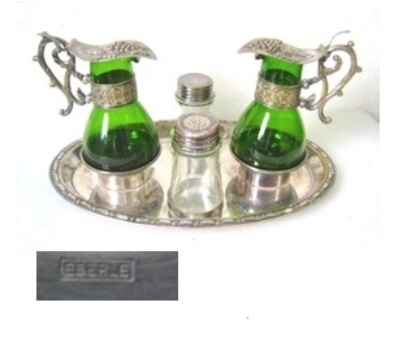 The firm began its activity in 1896 as a small metallurgical factory. In 1918 the firm began to produce flatware, tea and coffee services using the electroplating process.